The Painted Door: Memphis Furniture Refinishing & Restoration: FRONT DOORS NEED FINISHING? Brand new solid fir entry doors. 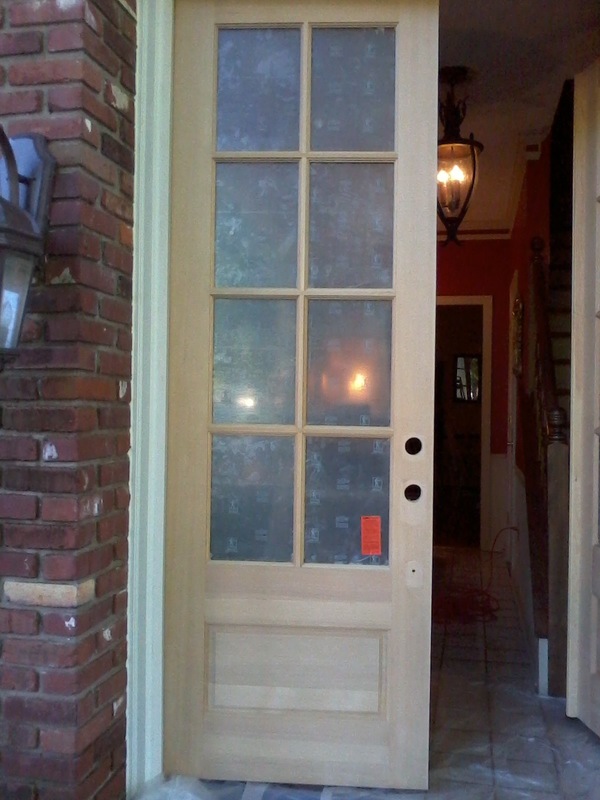 These were well crafted doors supplied by GrandView Window & Door of Bartlett, TN. They were finished by us with an exterior rated stain and protective top coat. If you have brand new doors or are thinking of purchasing some, give us a call for a finishing quote. We can finish on-site or in our shop. We also strip and refinish older solid wood doors, so don't let that damaged door go any longer. Give us a call for an estimate today!